A new scholarship for students pursuing a degree in music at the University of Montevallo will be available this upcoming academic year: the Minnie Agnes Priester-Dorman scholarship. Throughout her life, Minnie’s passion for music was a constant. While this passion was first instilled in her by her mother Agnes, it was a love she nurtured throughout her life. 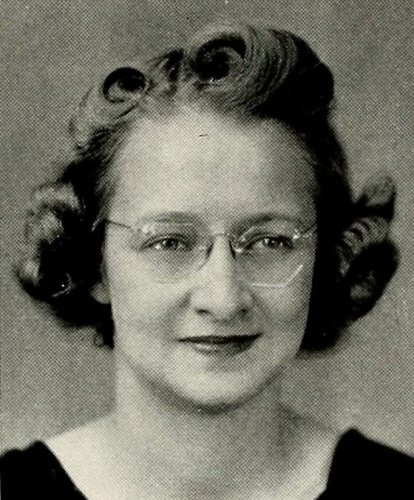 Minnie brought this talent to UM, majoring in music and playing the organ in Palmer Hall for various campus events. Music was also a vessel for Minnie to express her faith. As both a minister’s wife and an ordained minister herself, she sought to share music with every congregation she met. “It was the life she knew,” said Marge Dorman-O’Donnell, Minnie’s daughter. Indeed, it was also the life her children knew as they grew up enveloped in the presence of their mother’s music. It was the combination of her enthusiasm for music and her love for UM that inspired Minnie’s children to create this scholarship in her memory. Having benefitted from scholarships during their academic endeavors, they felt it would be an appropriate way to support a student who might not otherwise have all the financial resources needed to finish college, as well as honor their mother’s memory. An endowed scholarship in her name was also befitting of Minnie’s philanthropic nature. According to the Dormans, it was in their mother’s nature to give away all she could, even if it was to her own detriment at times. Although her children didn’t attend UM, the value of the Montevallo experience is not lost on them, both because of their love for their mother and their dedication to higher education. The Dorman’s gift supports the University’s comprehensive fundraising campaign The Campaign for the University of Montevallo: It’s About Family, a multimillion dollar investment in the knowledge, expertise and values that Montevallo graduates take into their lives and professions. For more information about The Campaign for Montevallo: It’s About Family, contact Gary Johnson, comprehensive campaign director, at 205-665-6217.